Submersible sump and sewage pumps are designed for pumping drainage water to storm sewers and raw sewage to waste water treatment plants. 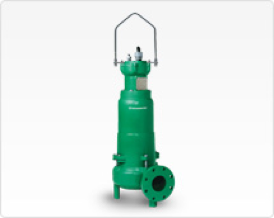 Submersible Sump & Sewage Pumps are commonly used for lift station service. These units are available as free standing units or as guide rail units with quick connect discharge connections for easy installation and removal. Flows range from 10 GPM to 8000 GPM with heads to 250 Ft.